Print on both sides of your personalized case. Protection and style in a single product. Maximum quality of the materials. Protect your beloved iPhone 6 PLUS with a custom wallet case! Among the more than 250 products available in our Online Shop, the iPhone 6 PLUS wallet case is without a doubt one of our favourites. Why? I tell you now. The customized wallet case with printing on both sides offers your iPhone 6 PLUS protection and an originality. The materials used guarantee quality and wear resistance of the case. iPhone 6 PLUS wallet case protects your screen from scratches and falls. Moreover, with a full print you can customise both the front and the back of the cover with your favorite image or text. And that's not all! 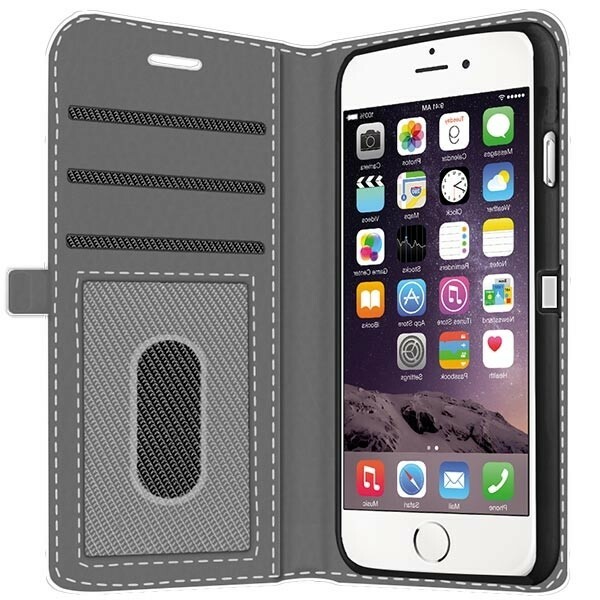 Inside of your personalized cover for iPhone 6 PLUS are three handy slots to put your business cards, credit cards, money, identification documents or driver's license. You're not convinced? Feel free to contact us at GoCustomized at this email: support@gocustomized.com. We will be happy to help! How do I design my iPhone 6 Plus case? If you are thinking you need specific skills as programmer or computer scientist you're wrong! 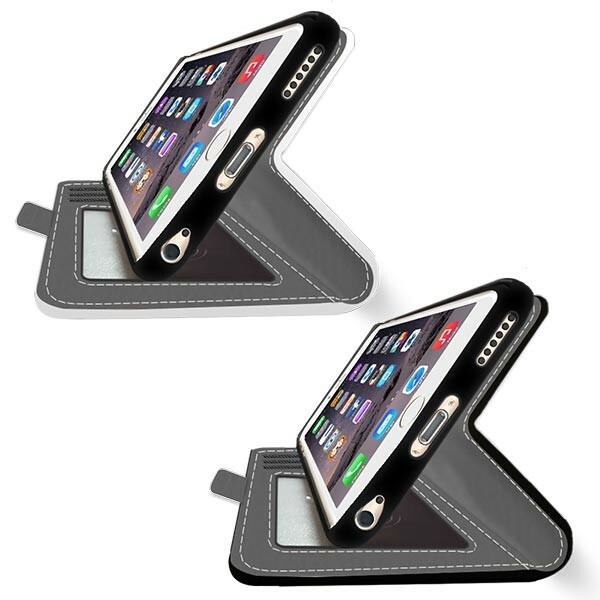 In fact, to design your own case for the iPhone 6 PLUS wallet case is far from difficult! Click on the green "Sart Now" button you see on the right side of the page and get started! You only need a few minutes. Select the color of your cover and upload the image you want from your computer, Facebook or Instagram account. You do not have any photographs that satisfy you? Use one of the default themes created by our team of experts. Now you're ready to create an original and high quality case for you iPhone 6 PLUS. Your preview design seems a little empty or does not satisfy you? Try adding text to make your case even more personalized. The text can contain the phrase of your favorite song, that proverb that you like so much, an important date or initials of an important person. In short, whatever! Add you finished product to your shopping cart to proceed! What happens after I add my new personalised case to my cart? Once you click on the green "Add to cart" button, you will be redirected to a new page where you will be provided some important data required to complete your order. Before clicking on " Proceed to checkout " make sure you've chosen the case model suitable for your iPhone 6 PLUS. On the next page you'll be asked to enter your billing address, the shipping address (if different), the shipping method chosen and the payment method. Are you looking forward to receiving your cover? Select fast shipping and receive your cover in just three days. You have a discount code to use? 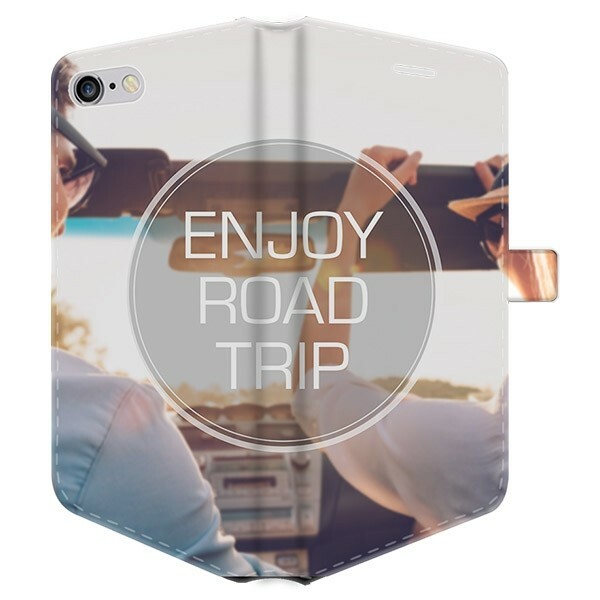 Enter it in the "discount codes", click on " Apply Coupon " and you're done.Once you're sure that all of your details are correct, place your order to receive your personalized iPhone 6 PLUS wallet case in no time! Personalize your phone with a unique case thats durable and fashionable.